Snorkeling is one of the main attractions in the Gilis. With so many amazing sea creatures to see, getting out in the water is one of the first things you should do when you arrive at Villa Almarik. However, snorkeling can be dangerous if you ignore safety guidelines. With some easy-to-follow rules you should have no problems at all but without them you can end up in trouble. 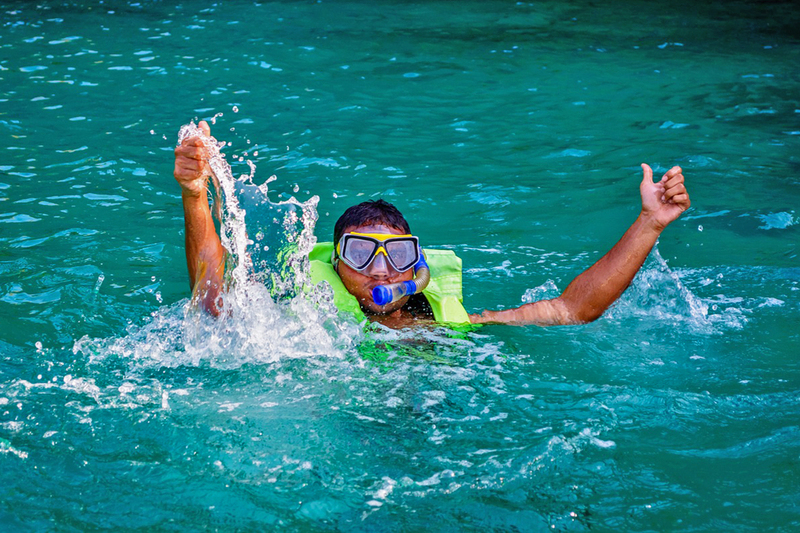 Read on to find out how you can snorkel safely around Gili Trawangan. This is an absolute must. 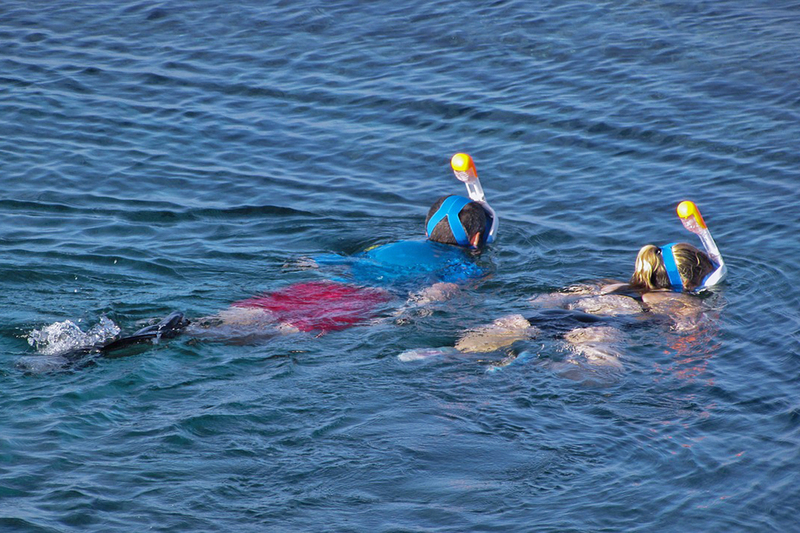 Snorkeling with a buddy is not only convenient and fun it’s the most important thing you can do to stay safe. Having someone you trust nearby in case you get a cramp, need to adjust your fins, defog your mask, or just feel fatigued is so important. You can also help each other in and out of the water safely. Of course, the most important part of having someone with you is that you can keep an eye on each other. If your friend gets in trouble, you are there to help and vice versa. In a serious situation or in the case that one of you gets pulled away by the current the second person can go for help and identify the area where you were snorkeling. Your gear is a very important part of snorkeling, so you need to make sure it’s all in good order before you get in the water. Your mask should fit securely and be comfortable to wear for extended periods of time. You should always wear fins so you don’t get overtired quickly. They also allow you to glide through the water so there is less chance of disturbing the marine life. It’s important to know about the condition of the water before you head out. 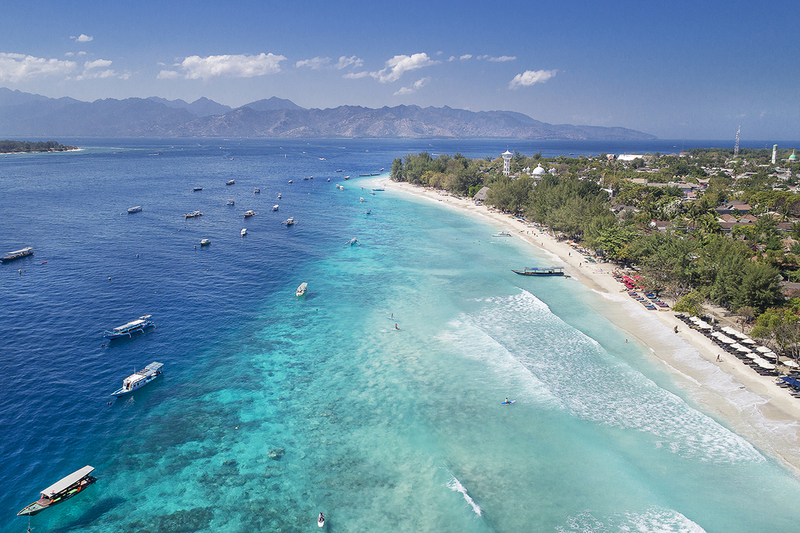 The currents around the Gili Islands can be very strong and unpredictable, so talk to the locals about the places you should be most cautious. If you aren’t a strong swimmer or are wary of being in stronger currents, you should stay close to the shoreline where the water is calmer. It’s always an option to wear a lifejacket if you are worried you aren’t a strong enough swimmer for the conditions. You will be snorkeling with a friend, but what happens if you both get into trouble? It’s very important to tell someone who is staying on land where you’re going and approximately how long you’ll be gone. One of the receptionists at Villa Almarik is a good point of contact. Also leave your valuables somewhere safe. It’s best to use the safe in your room or leave them with reception. The water around the Gilis can be quite busy with boats coming and going. You might get a little lost in the underwater world while you’re snorkeling but always make sure to look around you to check for boats. It’s much easier for you to see boats than it is for them to see you, so you must be responsible to ensuring your safety around them. Don’t snorkel in areas that are busy with boats around the main beach where the fast boats arrive and depart at Gili T. The water here isn’t the best to snorkel in anyway, so this isn’t really a problem. While this post is mostly about keeping yourself safe while snorkeling, it’s always good to have a reminder about the marine life too. Don’t ever take anything from the water or from the beach, including shells, corals or rocks. Also be very sure not to stand on or touch coral. And finally don’t chase, touch or feed marine animals. Snorkeling seems like the safest thing in the world most of the time so many people don’t even think of most of these safety tips before they head out into the water. 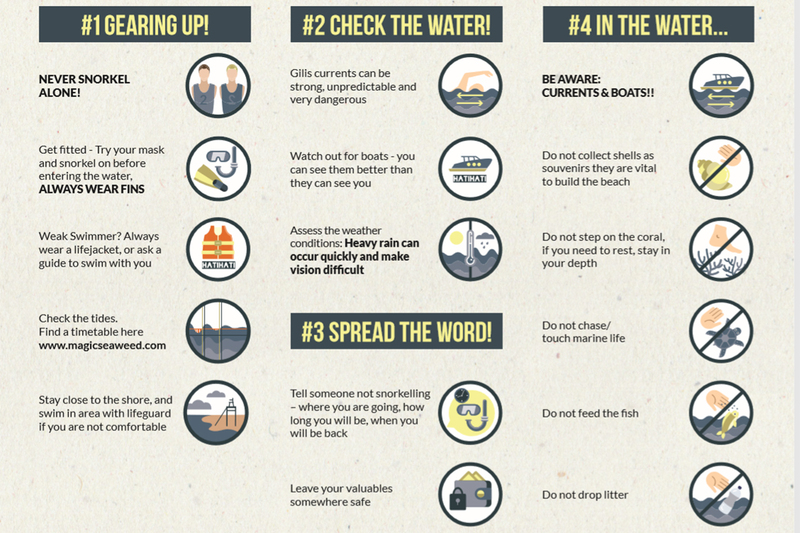 We hope our tips have brought your attention to the possible dangers and how to make sure you snorkel safely in the Gilis. Do you feel like these tips are helpful? Would you add something else? Let us know in the comments at the bottom of the page. Hi. We will be staying with you in August 2018. I wear prescription glasses. Do you have any snorkeling masks with a corrective focal available for rent? Thank you. Dear Sunil, thanks for your message. 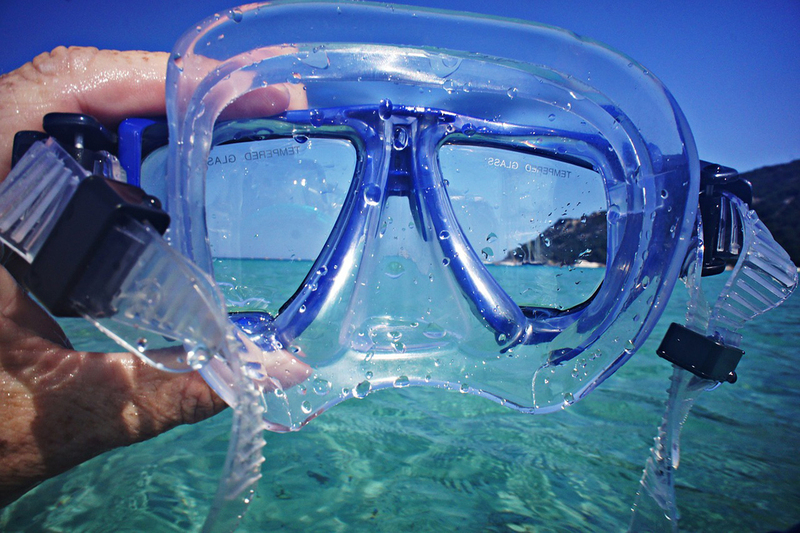 Unfortunately we do not have snorkeling masks with corrective focal lens for rent. If you also use contact lens, you might be able to do snorkeling with a normal mask. We are looking forward to welcoming you at Villa Almarik. Hi, I understand Feb is raining season. May I know if Feb is still a good time for snorkelling and how is the quality of water? Hi Mei, visibility when snorkeling or diving might be slightly less in the rainy season than in the dry season, but you can expect a visibility of around 30 metres most of the year. Please feel free to visit our article “When Should I Travel to Gili Trawangan?” to find out more about it: https://www.almarik-lombok.com/news/when-should-i-travel-to-gili-trawangan.